For eight weeks each summer, the Creamery Arts Center in Springfield, Missouri is home to a whirlwind tour through the arts. 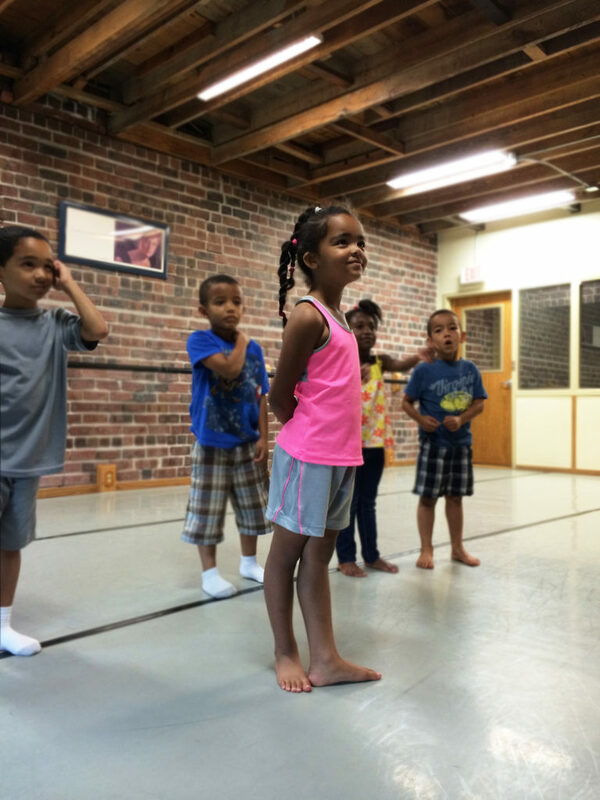 Students from kindergarten through eighth grade try ballet one week, opera the next, then poetry, visual art, musical theater — a summer full of hands-on arts training, for free. 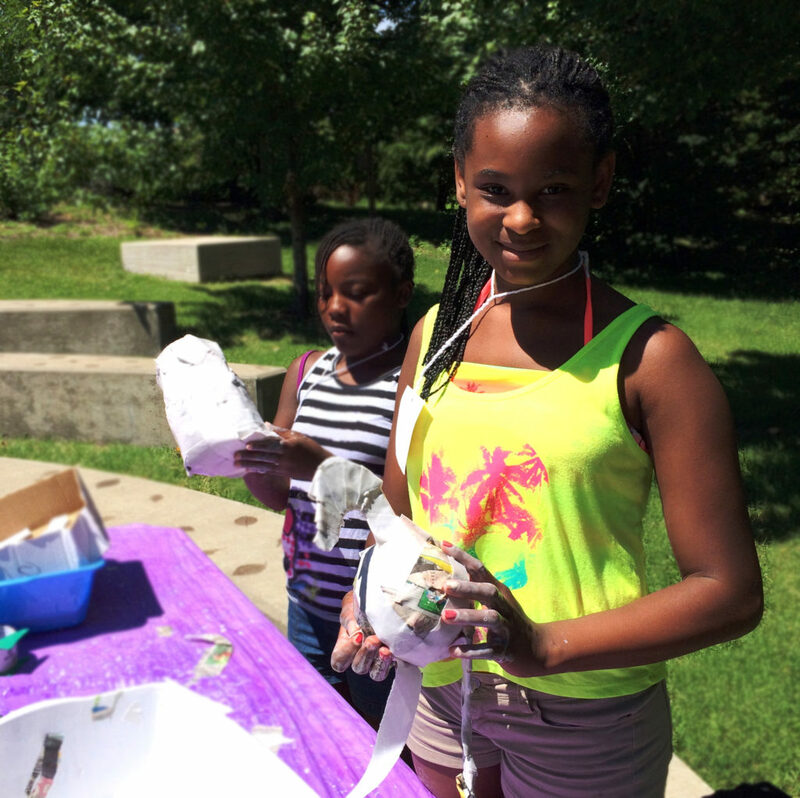 Now in its seventeenth year, the Growing Up in the Arts workshop series known as Arts in the Park is a partnership of the Springfield Regional Arts Council with the Springfield Community Center. The program is supported in part by the National Endowment for the Arts, the Missouri Arts Council, and the Musgrave Foundation. The Arts Council will share inspiration and advice for replicating Growing Up in the Arts’ workshops as part of Creative Exchange’s Toolkit Cohort. 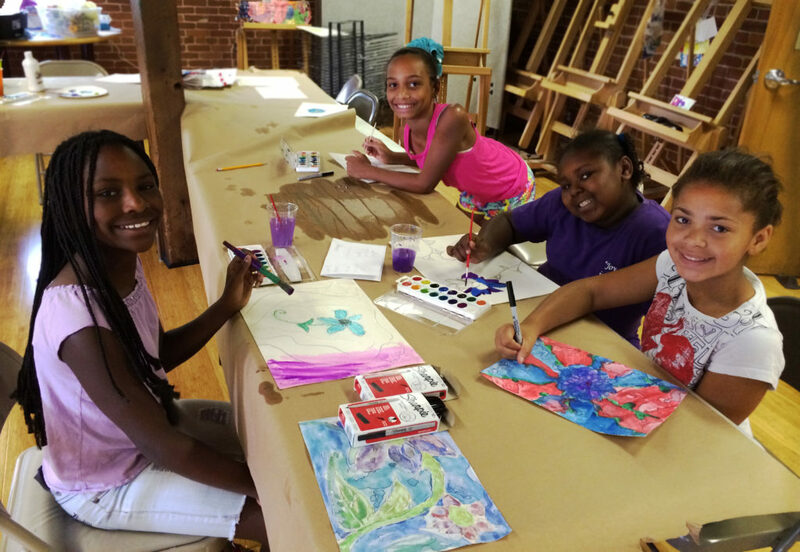 At the core of the program is the intention of introducing young people to diverse arts experiences and collaborating with a variety of arts organizations to do so, says Rachel Johnson, the Arts Council’s Director of Programs and Exhibitions. That variety is especially valuable because Growing Up in the Arts immerses youth in arts practices they might not otherwise be able to access or afford. All of the children who participate through the Springfield Community Center are considered underserved or at risk. Outreach is a major benefit of the program for Ashley Paige Romines, who is involved in Growing Up in the Arts as Artistic and School Director of the Springfield Ballet. A bonus of Growing Up in the Arts is getting to work with all of the other arts organizations, Romines explains. Arts in the Park students painting. Photo supplied by Springfield Regional Arts Council. Each week of the program is taught by a different organization, and culminates with a performance or exhibition of work. For example, the week led by the Springfield Little Theatre will end with a musical theater show with costumes and props made by the kids. Growing Up in the Arts is also designed to connect to life lessons that kids can apply at school and in the future. The Arts Council partners with Be Civil Be Heard, a Springfield organization that promotes civility, democracy, and respectful dialogue. Be Civil Be Heard’s Ten Tenets of Civility, a list of principles such as “be attentive,” “acknowledge others,” and “give and receive constructive feedback,” are taught throughout Growing Up in the Arts. “Not only does it help with classroom behavior, but it seems to help them make connections for how the arts can actually affect their lives,” Johnson explains. The ballet also emphasizes the importance of discipline, commitment, and being present. “You’re here and you’re committed to doing your dance class at this time, so make sure you’re present-minded,” Romines says. Arts in the Park student Kiara. Photo supplied by Springfield Regional Arts Council. Through a decade and a half of Growing Up in the Arts, the organizers have learned plenty of lessons to offer toolkit users. Romines remembers one experiment when all of the arts organizations collaborated throughout the summer on a cumulative performance — writing the music during the symphony’s week, choreographing during ballet week, and so on. Coordinating all of those elements was tricky, and when it came time for the big show, one of the star performers had gone on vacation. Now, the weekly performances and exhibitions are documented through photos and videos to be shown at an end-of-summer celebration, which offers the kids a fun chance to reflect. A different art form every week can be a challenge, and the kids sometimes push boundaries when a new teaching artist comes in. Johnson has worked with the arts organizations to minimize what she calls “substitute teacher syndrome”; for example, having the youth meet all of the teaching artists at the beginning of the summer. A seahorse made by an Arts in the Park student. Photo supplied by Springfield Regional Arts Council. The Growing Up in the Arts toolkit includes the Arts Council’s templates for program evaluation. Weekly student surveys are also a way to encourage expression and reflection. Johnson is eager to see how other communities will adapt the model to their own circumstances and concerns. She explains that the north side of Springfield, where many Growing Up in the Arts youth live, is statistically the most impoverished part of town. A “North Side Pride” movement has pushed for reviving the historic neighborhood, and that spirit and sense of identity have been reflected in some of the program’s projects and performances. “I would be really fascinated to see how other communities grow their identity and help their future citizens adapt in their own way,” she says.